Jason and Trista have been friends and customers of ours for many years. 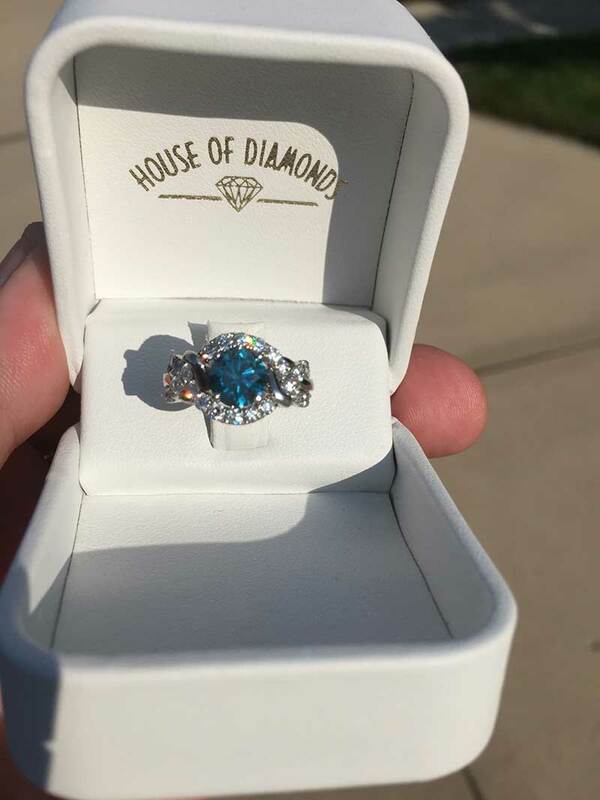 When Jason wanted to do something special for Trista for their 5 year anniversary, he turned to House of Diamonds. He wanted Karen to work her magic with a custom design. And he wanted Trista to be able to work with Karen to create something beautiful. Trista loves the ocean and cruising. 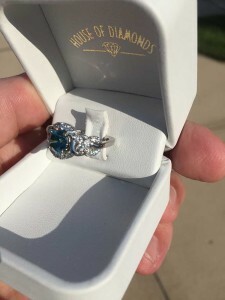 She had talked about wanting a ring with a blue diamond as the central focus to remind her of the sea. She also loved the idea of knots on the side to represent nautical rope used to anchor ships. Karen and Trista worked together to come up with design ideas and then Karen went to work creating a design as a computer model that Trista could see. Trista was so excited with what Karen had created! Once Trista approved the design, Karen created a mold of the ring so that Trista could see what it would look like on her hand. After that, the jewelers at House of Diamonds cast the platinum ring and set the diamonds to create the finished item. 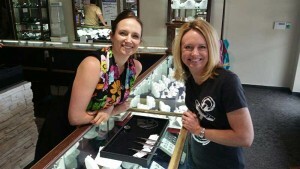 Jason surprised Trista with the ring during a gathering of friends, right before their vacation to Turks and Caicos. Trista was able to wear her ring on their trip, where the water in the ocean perfectly matched the blue diamond in the middle of her setting. We loved seeing the smile on Trista’s face when she told us about getting to wear her new custom jewelry for the first time! Born in October? You Can Celebrate with Tourmaline or Opal Jewelry!